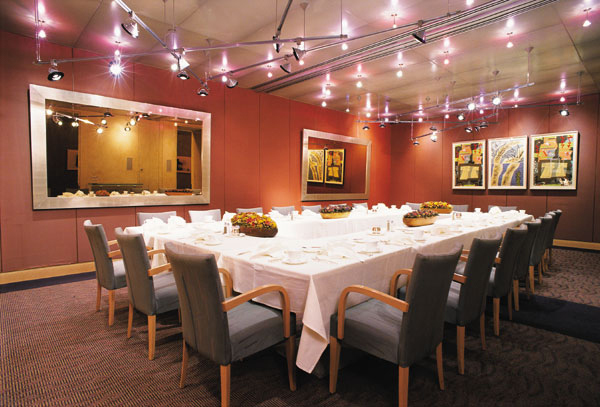 FORMA Design was commissioned to re-design the Private Dining Rooms for the Headquarters Building of the World Bank. Wood paneling was introduced to the walls lining the access corridors, and stainless steel chair-rail and vertical way-finding posts were designed to announce the entry to each Dining Room. The carpet emphasizes each entryway. 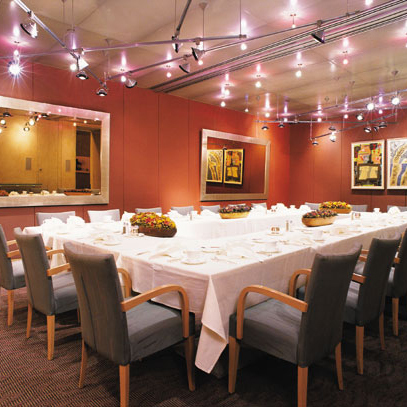 A “Lightscape” of flexible track fixtures in the rooms themselves add flexibility for setting up different events, while venetian stucco walls and custom mirrors and artwork compliment the Novawall acoustical panels that provide sound insulation. 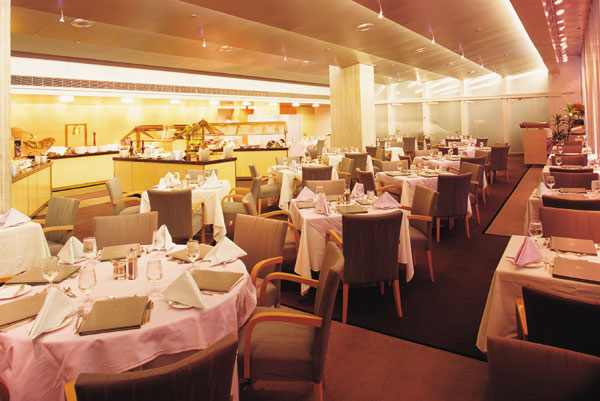 Operable glass partitions were added to combine the Buffet and Á la Carte Dining rooms. The project won a 2000 Excellence in Construction Award from the Metropolitan Washington and Virginia Chapter of the Association of Builders and Contractors.